Joanne Sully is Vice President and General Manager, American Express, Global Business Travel (GBT), for Australia and New Zealand (ANZ). 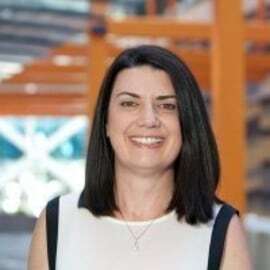 In this role, Joanne is responsible for developing the ANZ strategy, leading efforts to drive business growth and performance, and managing the ANZ GBT team. Joanne has worked at American Express for more than 10 years. Originally starting her American Express career in the Corporate Travel team, Joanne has progressed to hold various senior leadership roles in business-to-business (B2B) areas, including Global Merchant Services, Small Business Services and Global Corporate Payments. Most recently, Joanne was Vice President, Global Merchant Services, B2B, Japan, Asia Pacific and Australia (JAPA) where she was responsible for all sales, management and operations across the B2B merchant network in the region. Prior to that, Joanne was Head of B2B for Small Business Services, where she was instrumental in setting and implementing the sales strategy and leading the expansion of Small Business Services into vertical market segments. Prior to joining American Express, Joanne worked in the media and airline industries in sales, product development and business development roles. Joanne has a Bachelor Business (Marketing) and an MBA from Melbourne Business School at the University of Melbourne.